Just one short week from now, I will have finished (or be submitting) my final paper for this semester's MBA class and be 30% done! In celebration of this and myself having a week off from school, Nick and I have booked ourselves a little trip to Riga, Latvia! Because we only have two days, Nick and I knew that we wanted to book a quick little trip somewhere. Unfortunately, with only having two short days that really limits your travel options. Nick and I looked into flying, driving, and finally decided we would go for a cruise to Latvia! The Isabelle, our ship for heading to Riga! Nick and I have booked our cruise with Tallink & Silja line on the Isabelle. Because of our time crunch, this seemed like the perfect opportunity for a quick getaway to explore a new city, and all at a very reasonable price. Our cruise will depart Stockholm in the early afternoon, sail to Riga overnight, and be docked by about 10 AM. At this point, we will have six hours to explore all we can of Riga, before heading back to the Isabelle and departing back to Stockholm! When deciding on our trip, Nick and I knew that the Tallink & Silja line had tons of different destinations and options for our trip. 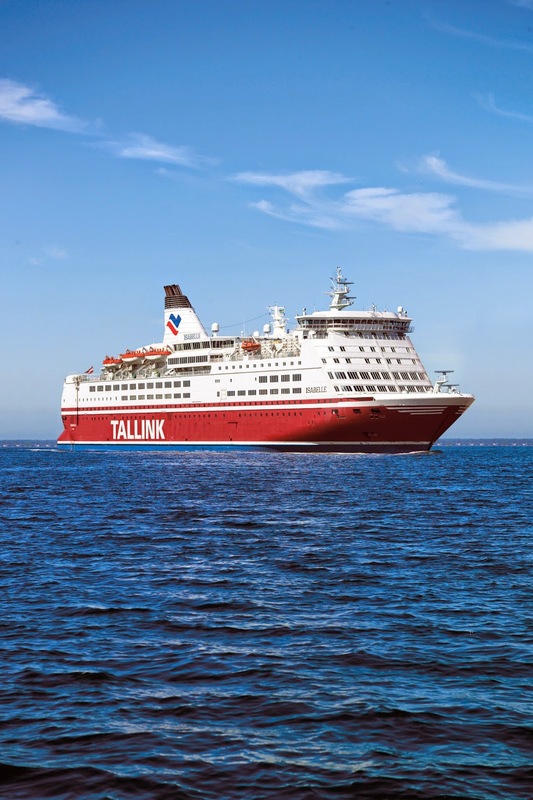 They are the leading passenger ferry company in the Baltic Sea area, and have 18 vessels that operate daily on 5 different routes. The routes we looked at were Stockholm-Riga-Stockholm and Stockholm-Helsinki-Stockholm. Other cities on the routes include Turku and Tallinn, among other locations. We will most definitely be relaxing in the sauna on the Isabelle! In any case, Nick and I are incredibly excited to explore a new city and country together! 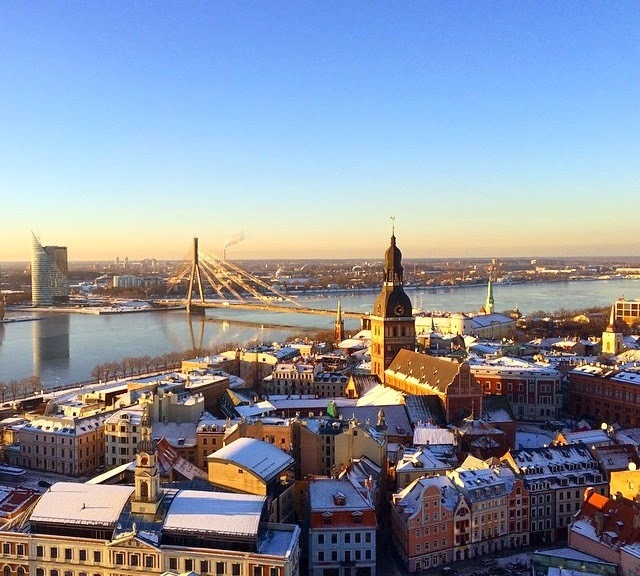 While I have tons of great ideas so far of what we will be doing to occupy our time, I would love any advice that readers who have visited Riga can offer. Current plans include strolling around the Old Town and Riga Town Hall Square, viewing Riga from above in St. Peter's Church tower, walking along Pilsetas Kanals, visiting the Freedom Monument, and hopefully if we have time stopping by the Museum of the Occupation of Riga! Of course, this is a ton to pack into just six hours- so who knows where we will be able to actually visit! Even if you haven't visited Riga, if you have been in a new city for a short amount of time like this- just six hours- what are your best tips for exploring as much as possible? Van, I've definitely heard a bit about them- Swedes love duty free shopping! Have you been to Riga before then? Any specific recommendations? Hope this semester at school is going better & more smoothly for ya! Wow! That sounds like an amazing two day trip. My husband and I love to travel this way. I don't like to go somewhere and spend days and days. We like to go and then go on to somewhere else. I love that you can travel by cruise ship like this what fun that will be. I can't wait to hear more about it! Rena, that's exactly what we thought- a fun and different way to travel! How gorgeous! I would love to visit Riga! Hopefully soon! Tessa, I can't wait to see it in just a few weeks! I have never been to any of the Baltic states. I should bump them up higher on my bucket list. :) Safe travels! Congrats on (almost) be 30% done with your MBA! Can't wait to see pictures from Riga because I really, really want to go there!!! Thanks Jordan! I'll definitely be posting pictures soon. Thanks Angelic! I'm so excited to celebrate in Riga! You have the most amazing travel opportunities. That ship looks absolutely amazing! Have fun relaxing in that amazing spa! Thanks Echo- I can't wait to try this new one out! You deserve the break and enjoy it to the fullest! Thanks Richelle! I thought a little trip was the perfect way to celebrate a break in my classes. Thanks Alisha! I can't wait to check out Riga & celebrate being 30% done! That looks AMAZING! It's been too long since I've been on a cruise, and I don't think my husband and I have ever been on one together. :) i love that they have a sauna in there. Esther, this will be my husband and I's first time. I've actually never been on a full-on cruise before, so this will be exciting! That looks wonderful, and I would totally love to visit there. Wouldn't that be a great place for a second honeymoon? Woo Hoo Thanks for sharing. I've had two back operations, and I've been in mega pain and to go here and just relax... oh yeah... "OH SWEETHEART ... COME HERE MY LOVE I HAVE SOMETHING TO SHOW YOU!""" hehehehe shhhhhhhh thank you (whispering)! Haha, Marie I am so excited for the trip! It will be the perfect relaxing vacation. I haven't been to Riga. I'm sure you two will have tons of fun there. Looking forward to your photos there. I'm so looking forward to our trip! What an exciting adventure! I love the photographs. I am looking forward to more about your trip to Riga. Thanks Sam! I can't wait to be there and check it out! Courtney, I am so excited for the cruise and to check out Riga! Congrats on almost being 1/3 of the way done with your MBA, that's exciting - and so cool that you're able to do it overseas! 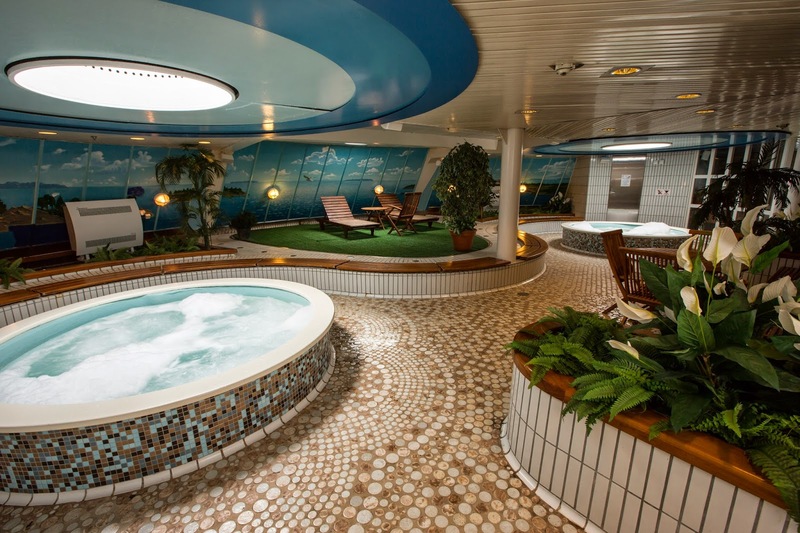 That cruise ship looks awesome - I would def be camped out in the sauna 100% of the time. Thanks Annessa! MBA definitely feels like slow progress, so at this point I knew I needed a break. Tough being in school year-round! This trip looks absolutely amazing! And congrats on your MBA!! That's an awesome achievement! Thanks Lauren! Just a quick trip, but I'm sure it will be amazing nonetheless! wow! looks amazing! I have never been on a cruise! I haven't got any tips for you about seeing the city. For me, it would be hard enough to remove myself from that stunning cruise ship- holy crow! Have fun guys- can't wait to see your next post about this. Thanks Alysia! I can't wait to get there- just a few more days! What an amazing trip! And the pictures are absolutely. A Cruise is something on my bucket list. Looks like a fabulous trip! Trips are the best way to celebrate an accomplishment. Great choice to go on a cruise. Thanks Penny! We are both really looking forward to it. Wow that water is so gorgeous! Sounds like you had an amazing trip!